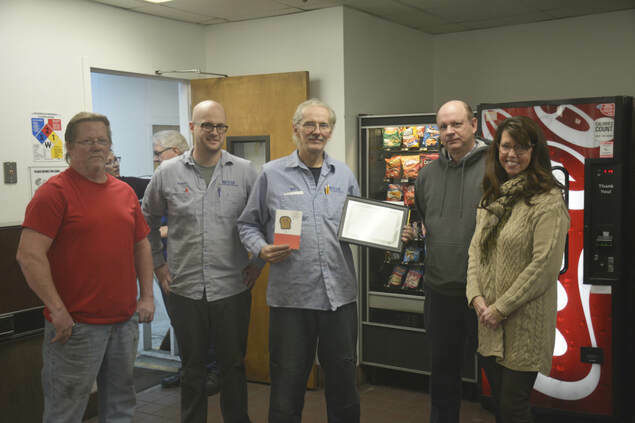 Welder Ed Kasper Celebrates 30 Years of Employment at Meyer Tool - Meyer Tool & Mfg. 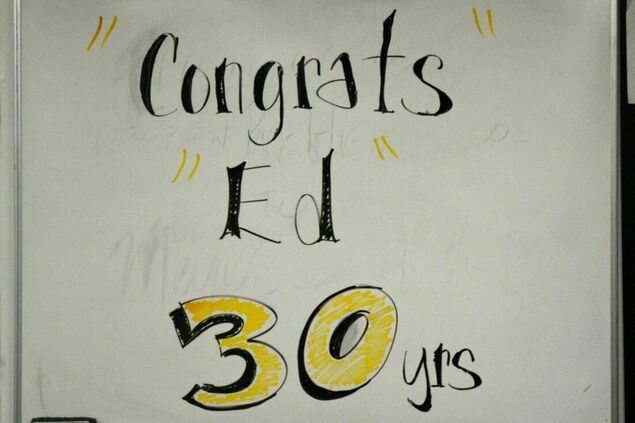 Recently, we celebrated a tremendous employee milestone - our very own Ed Kasper celebrated his 30th year working at Meyer Tool. 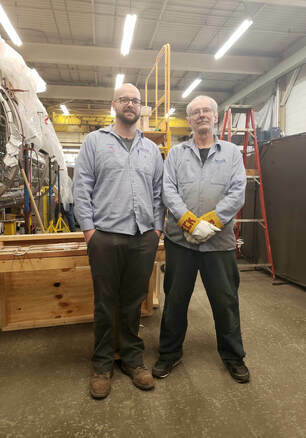 Throughout the years Ed has been an exemplary employee, embracing our "Reducing Project Risk" initiative by making the most difficult welds look easy, as well as mentoring younger welders that are just beginning their career journey. We took a moment to sit down with Ed and ask why he has enjoyed working at Meyer Tool for 30 years. Q: "How did you get your start with welding?" 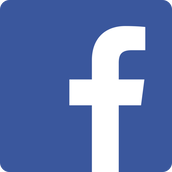 A: "I was always mechanically inclined. At 12 years old, I learned how to change oil in a car. At age 15, I was changing engines out in cars. " Q: "Do you have any passions outside of welding?" A: "One of my passions is fabricating hot rods. Doing that kind of work in my garage is how I taught myself how to weld." 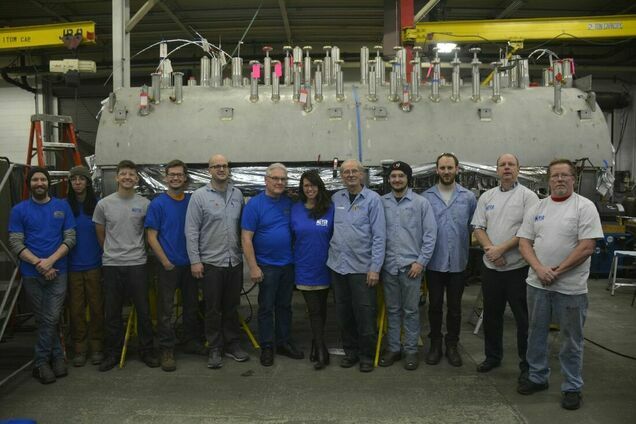 Q: "How do you feel about the future generation of welders at Meyer Tool?" A: "We have a great group of young guys here. It's hard to find talented, young welders that can jump right in and start building the impossible. The future looks bright." Q: "How do you feel about the variety of projects we fabricate at Meyer Tool and the tremendous amount of workmanship that goes into that?" A: "I take a lot of pride in my work. The customers we work with have extremely high expectations for the quality standards of their projects.I always try to do the best I can as if the project was something I was fabricating for myself. For 30 years, I've seen just about any imaginable project come in through our door and it's hard to find that kind of variety." "I've been here for 10 years and all I can say is that Ed has been a solid mentor ever since I started working here as a young welder. It's hard to find people like that these days. He refuses to do a bad job and will never cut corners. He's high quality and goes the extra mile to make sure nothing he works on ever gets returned after leaving our shop. It's good to have people like that on our team because that's the kind of person we want in this shop - one that leads by example." 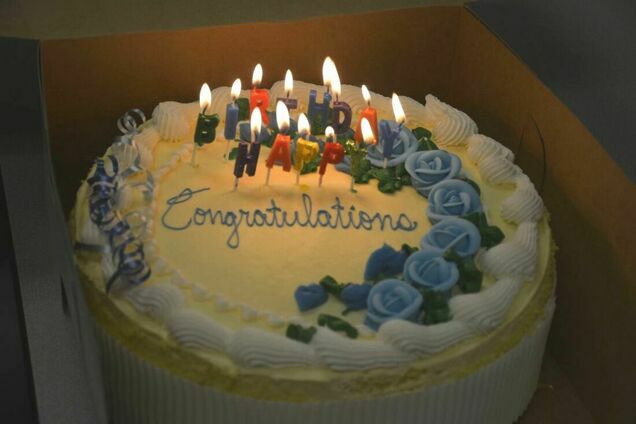 Ed Kasper didn't just celebrate his work anniversary, it was also his birthday!